Fill the five reusable scenes with more than 175 cling-style stickers, and create your own wild adventures! 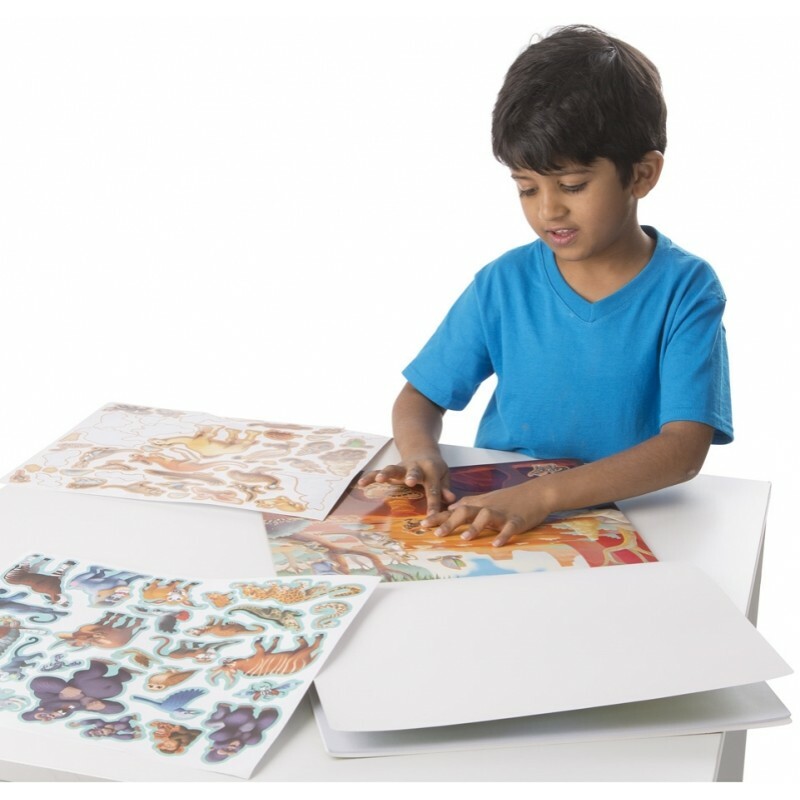 To set the scene and spur the imagination, five glossy, lush, full-color backgrounds (African Savanna, Asian Jungle, Australian Outback, Amazon Jungle, African Congo) feature lots of space to play creatively. They pull out cleanly too--so this cool set is easy to share. 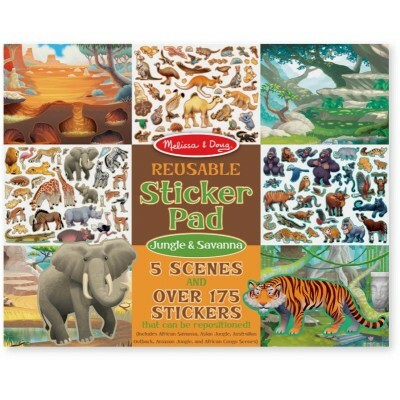 The colorful, kid-friendly stickers (for ages three and older), are organized by scene, stick easily, pull up cleanly, and can be used again and again to keep bringing jungle and savanna adventures to life.